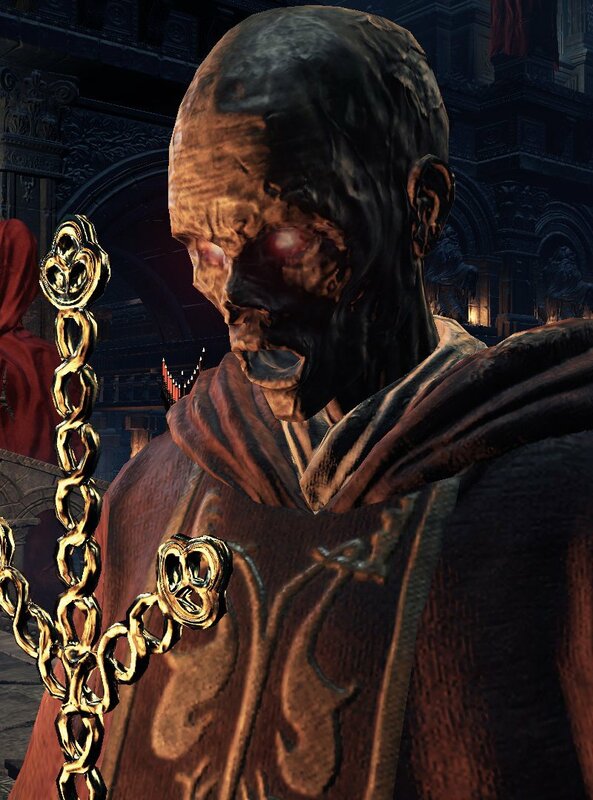 Deacon of the Deep is an Enemy in Dark Souls 3. Not to be confused with the boss Deacons of the Deep. Deacons use melee attacks while in close quarters, and cast fire orbs which track distant enemies. The Archdeacon set suggests that the Deacons were once members of the Way of White before falling to the deep along with Aldrich. The head of the Aldrich Faithful covenant, Archdeacon McDonnell, wears the robes of a blue Deacon rather than the robes of an Archdeacon. Irithyll of the Boreal Valley. Worst ennemies for a single reason: YOU. CANNOT. PANCAKE. THEM. Has anyone ever noticed how these guys make the same noise dying as the Black knights? has anyone found that weird? so can you not get their candlestick sword? The only time these guys are ever threatening is near the giants in Irithyll of the Boreal Valley. Deacons of the Deep? More like Deacons of the Derp! Ha got &apos;em! Their melee attacks are slow and deal less damage than their pyromancies. It is advised to approach them in CQC, dodging any incoming attacks. A volley of heavy-tracking fire orbs is not a good thing to see coming your way. the doll did not drop ? ?